Employing our Modern Trellis as the design motif, a court yard enclosure was created. 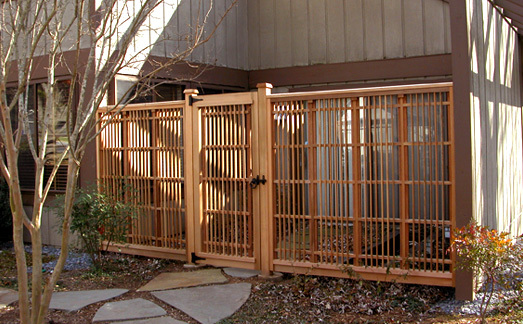 Many of our trellises can be customized in this way to construct interesting fence and gate panels. Made of clear, kiln dried western red cedar, Cambara mahogany lattice and stainless steel fastenings.